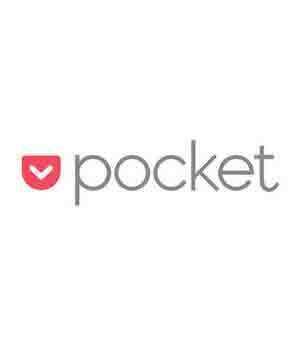 Pocket was introduced in August 2007 as a Mozilla Firefox browser extension, named Read It Later by Nathan (Nate) Weiner. Once his product was used by millions of people, he moved his office to Silicon Valley. Four other people then joined the Read It Later team. Weiner's intention was to have the application be like a Tivo for web content and giving users access to that content on any device. Read It Later obtained venture capital investments of US$2.5 million in 2011 and an additional $5.0 million in 2012. In addition to some unnamed angel investors, funds came from Foundation Capital, Baseline Ventures, Google Ventures, and Founder Collective. Initially a free and a paid version – including additional features – of the Read It Later app were available. After the rebranding to Pocket, all paid features were made available in a free and advertisement-free app. In May 2014, a paid subscription service called Pocket Premium was introduced, adding server side storage of articles and more powerful search tools. In June 2015, Pocket integration was added as a default feature to the Mozilla Firefox web browser, via a toolbar button and link to a user's Pocket list in the bookmarks menu. The integration was controversial, as users displayed concerns for the direct integration of a proprietary service into the open source program that, unlike traditional extensions for Firefox, cannot be completely disabled without editing advanced settings. A Mozilla spokesperson stated that the feature was meant to leverage the service's popularity among Firefox users, and clarified that all code related to the integration was open source. The application has 17 million users and 1 billion saves (both as of September 2015). Some applications, such as Twitter, Flipboard, and Google Currents use Pocket's API. Pocket was listed among Time's 50 Best Android Applications for 2013. Kent German of CNET said that "Read It Later is oh so incredibly useful for saving all the articles and news stories I find while commuting or waiting in line." Erez Zukerman of PC World said that supporting the developer is enough reason to buy what he deemed a "handy app". Bill Barol of Forbes said that although Read It Later works less well than Instapaper, he said that "it makes my beloved Instapaper look and feel a little stodgy." In 2015, Pocket was awarded a Material Design Award for Adaptive Layout by Google for their Android application. However, many long-time users of Firefox are very annoyed that Mozilla forced Pocket into their systems, without asking them, and without giving them any option to decline to have it. Mozilla has responded to the critics by defending their decision and stating that they've "gotten lots of positive feedback about the integration from users".